Off Page SEO is very important for your Website or Blog. Because, If you have high ranking backlink, then search engine consider about your site or blog. We have successfully completed Basic On Page SEO discussion. Right Now I will discuss about Off Page SEO. I think You have understood the previous episodes well. Off Page SEO Most important for every website. If you want to get hugh visitors in your website you must need off page seo. Here we will discuss how to build back links by blog comment, forum posting and guest blogging etc. Link building, as the name suggests, is the process of getting other websites to link to pages on your website. Links to your website are like votes from other websites. The more votes your website has, the more popular Google thinks it is. The more popular Google thinks it is, the higher it will appear in the organic search results.. Links from some websites are more powerful than others. Google uses a combination of relevancy, Domain Authority and PageRank to determine how valuable links from websites are. Social Media Marketing is very important in off page seo. You can get unlimited visitor to your blog or site via Social Media Marketing. There have two type of marketing in Social Media. Paid Marketing and Free Marketing. This is the Last Episode of Basic SEO. 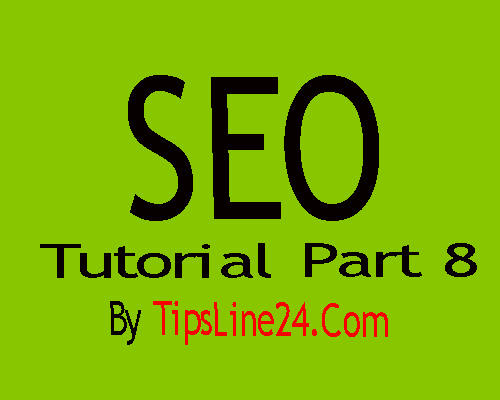 We will discuss about advance SEO from the next tutorial.